These quarreling dragons can't seem to get away from each other! 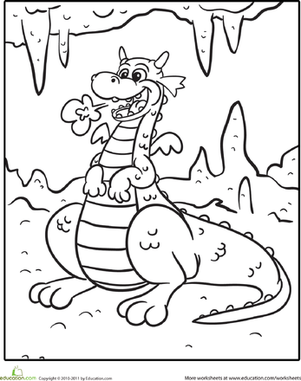 Give your child a great dragon coloring page, and as an extra challenge, try asking him to tell a story to describe what's happening in this picture. 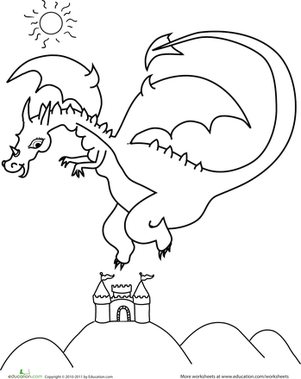 Featuring a cheerful flying dragon, this coloring page is sure to please boys and girls alike.